Lifeline was established in 1980, and soon became the leading manufacturer and supplier of on board fire suppression systems to the motorsport industry. The first generation of systems produced by Lifeline were manufactured using Halon 1211 as the extinguishing agent; however, due to environmental pressures the manufacture of Halon ceased under the Montreal Protocol. Thus the race was on to devise an effective replacement for an extinguishing agent that had provided many years of valuable service. Lifeline took the pioneering route of introducing a lightweight, environmentally friendly, foam based extinguishant ZERO 2000. This is not just an extinguishant but also an integrated system, the compound itself being specially blended to cope with the rigorous demands of motorsport. Whereas previous extinguisher systems had been deployed through a simple conical nozzle, an integral part of the ZERO 2000 system is the specifically designed atomiser nozzle.The device divides the foam into minute particles, smothering the fire with a fine mist that forms an invisible seal over the target area, cooling and thus preventing re-ignition. 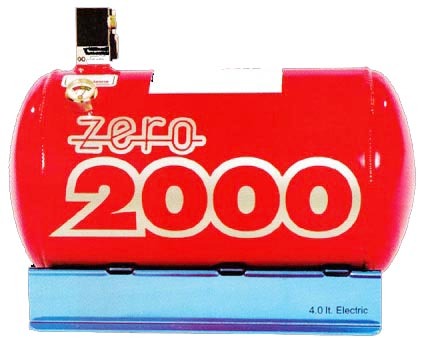 Lifeline Zero 2000 systems are constructed using only the finest materials and are supplied complete with all of the components required for a professional installation. It performed supremely well in engine fire tests, and thus has the full approval of the MSA, FIA and SCCA. Lifeline's range of FIA' approved systems have been homologated by the FIA for use in International motorsport and has been awarded the homologation numbers EX.002.98 and EX.020.05. The FIA approval requires that the systems be tested to the FIA standard for plumbed in fire systems. These tests were witnessed by the British Standards Institute. with a flexible clip tube. Electric systems are activated by pressing a strategically mounted momentary push button. Using a military specification actuator to detonate the extinguisher, the actuator protracts a steel pin upon activation breaking a frangible seal in the neck of the cylinder and thus discharging the contents. All electrical systems have their own independent power supply called a power pack that has facilities for checking the battery strength and circuit continuity as well as giving a visible indication that the system is armed. The range of systems has been awarded FIA homologation numbers Ex.017.03 & Ex.019.05. 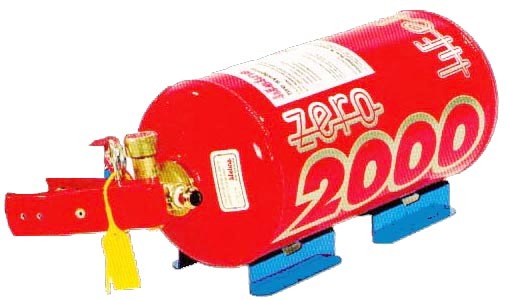 Zero 360 has moved the boundaries of motorsport car fire extinguishers. Using only the finest materials in both its construction and installation kit this system performed extremely well in the FIA tests for plumbed in fire systems which were witnessed by the British Standard Institute.
. *=FIA APPROVED . .